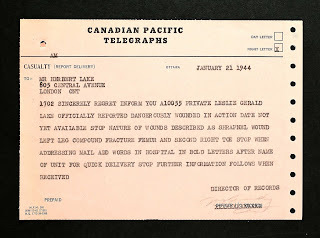 digital image held by Kathryn Hogan. 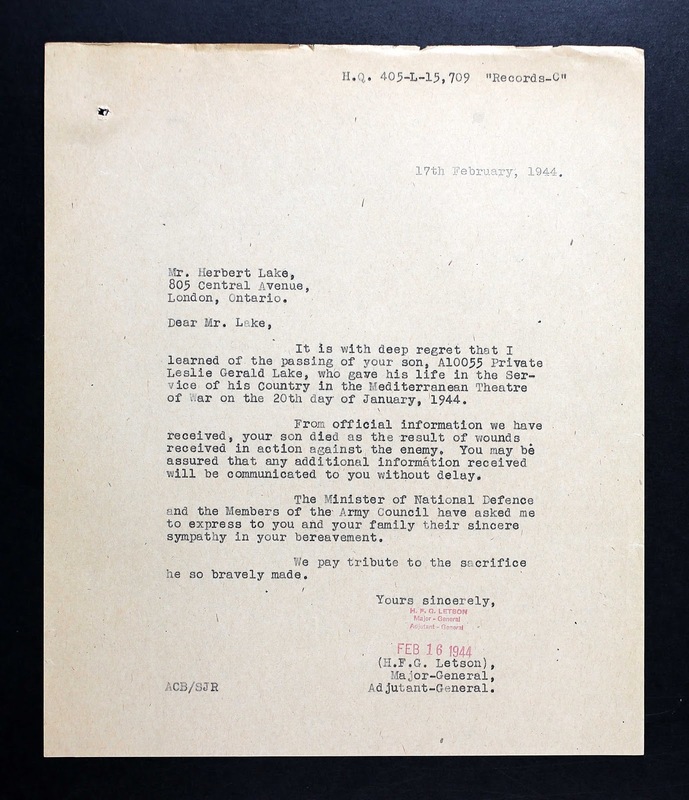 1 "Canada, WWII Services Files of War Dead, 1939-1947," database and images. 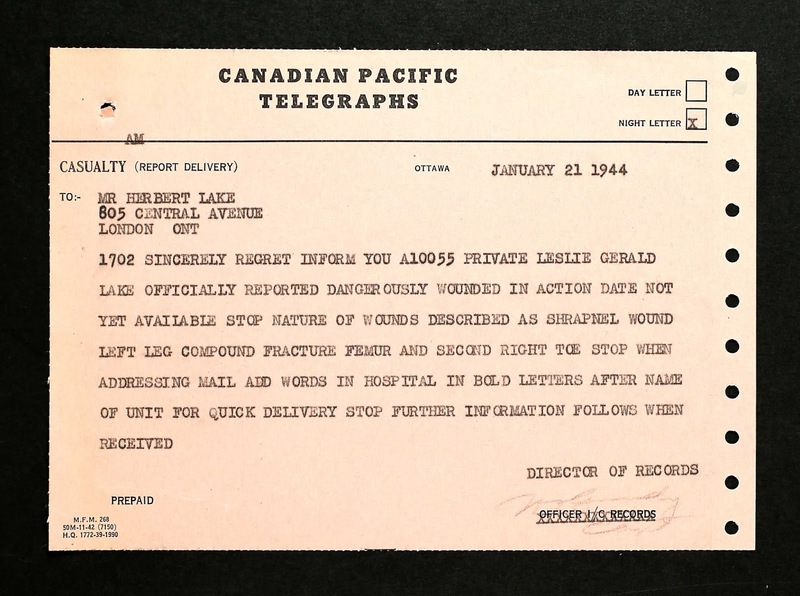 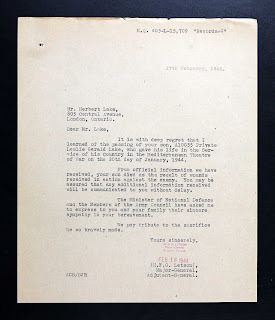 Ancestry.ca [http://www.ancestry.ca : accessed 11 Nov 2015], entry for Leslie Gerald Lake: citing Canada, Ottawa: Library and Archives Canada, "Services Files of the Second World War - War Dead, 1939-1947," RG 24, v. 26296.